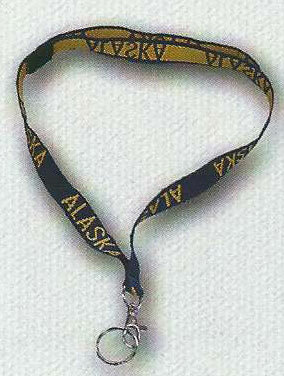 This lanyard features the same colors as the Alaska flag, blue and gold, and is imprinted with "ALASKA" on both sides. Includes split ring and clip. Connects together with velcro for safety and quick release. Standard 36" total length, hangs at approx. 18".